A variety of analytical techniques have been developed to determine the content of sugars in honey, such as spectroscopic, chromatographic, and electrochemical ones. In this collection, the authors present the cross-section of results on sugar composition, obtained by contemporary analytical methods used in honey authentication. 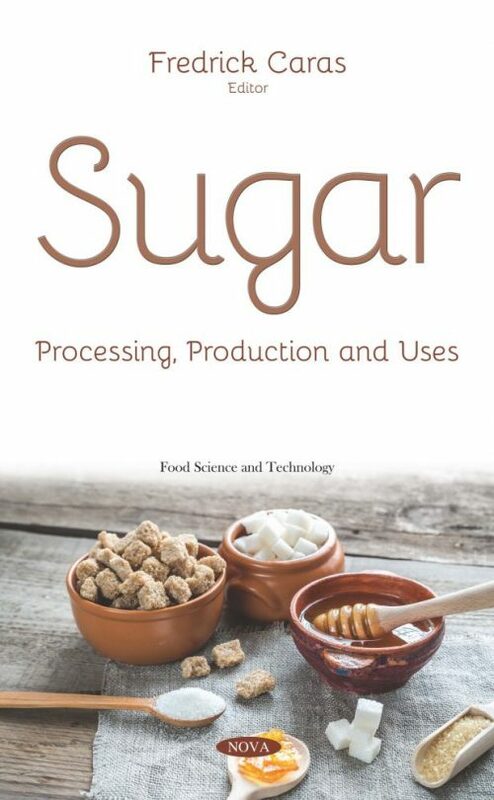 The following chapter addresses how sago fronds can be used to produce sugar, which contains cellobiose and glucose as the main sugars at about 10 g/L and 5 g/L, respectively. SFS has been used as the complete fermentation medium for the production of L-lactic acid using L. lactis IO-1 without the need for further amendment. Next, the authors address the impact of processing on the physicochemical characteristics (moisture, pH, acidity, color, ash, polarization, absorbance at 420 nm and melting point) and on elemental composition of brown sugar produced by distinct brands and different lots of each brand. The variability on the samples evaluated for these characteristics showed that there is no quality control in the production of this food and that the processing has a great influence on the composition of the brown sugar. Thus, the standardization of processing and production stages is important for a wider application of this sugar as an ingredient in the food industry as well as for providing to the consumer a better quality product. The typical process of producing solid sugar from sugarcane and mapping by-products and residues that are generated at each stage is presented. By-products are characterized and the technologies prominent in energy reuse are addressed. Recent studies, applications, trends, challenges and constraints for the future use of sucrose and sucrochemistry derivatives are also discussed. This represents a diversification-promising productive concept of green organic chemistry, based on an accessible, low-priced, ecological and renewable source, which stands in the short and long terms as the best opportunity to compete economically with petrochemicals. In addition, several factors related to the sustainability production of sugar as a raw material, that include innovative production processes, natural and artificial substitute sweeteners, geopolitics, medical research and new end uses are discussed. The concluding work seeks to examine the changes in the properties of elastomeric compounds as a consequence of the change of conventional additives such as zinc oxide and stearic acid by sugar cane bagasse, a green option for obtaining environmentally friendly elastomeric compounds.